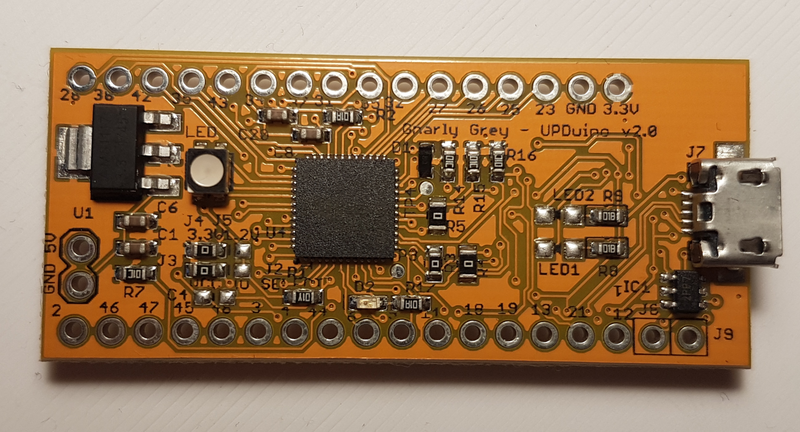 So, I've got my Upduino boards the other day and found out that the available docs are spread throughout the internet, the code examples don't work or are missing build instructions, and the official manufacturer-supplied tools require multiple hard to remember and follow steps. I figured there's got to be a better way, so I'm describing it here. So you've got your Upduino. What now? Upduino is a dream come true for my 8-years-ago self - a cheap FPGA capable of holding nontrivial CPU designs that you can program in an easy way. Like an Arduino. Get it? Upduino. Arduino. Almost as if it were on purpose.